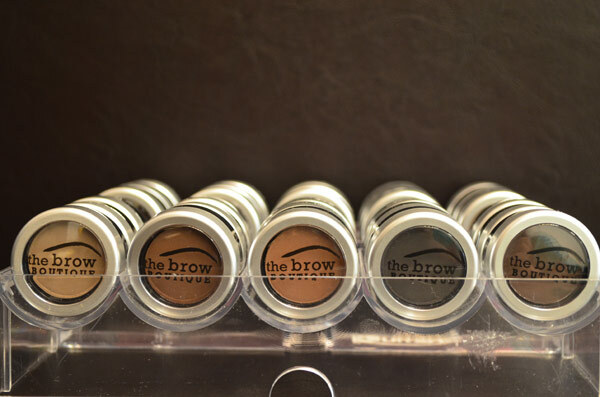 Thick and gorgeous eyebrows are so in right now and nothing helps you achieve beautiful eyebrows like The Brow Boutique‘s innovative mineral brow powder! 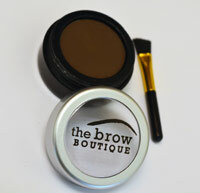 It is uniquely formulated to provide an all-natural look for all different brow shades. The powder also provides a soft finish – perfect for helping the brow remain subtle. 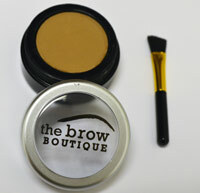 This sand beige powder will darken blonde brows by one to two shades. The result is a very natural and beautiful softly darkened brow. You will love the ash-blonde color you can create with this! A warm rich chocolate brown, this powder is soft, smooth and works best with dark haired women. 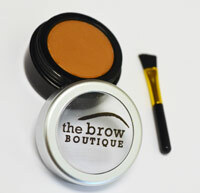 Many women in the know have chosen this brow powder, and it is one of the popular shades. Raven haired women love our Soft Black powder as it gives the clean look they’re after without being overpowering. It’s suitable for a wide range of women, especially for those with black hair. This color creates a very muted, very light shade. It is in the ash blonde color category. For those with barely there brows wishing to add just a hint of color this is a good choice. It’s color payout is too weak to work well to color skin to create brow extensions. It won’t take over your brows but will add volume naturally and very lightly. Natural – This is our lightest shade of black. 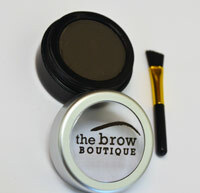 The color is not strong and adds black softly to brows creating a beautiful soft natural effect. It is a pure black color – with no hint of brown. Q. Does your brow powder really stay on all day? A. Yes. Our top priority in formulating our powder was to ensure that it stayed on all day. It doesn’t run in the rain. It is water resistant. It will fade if you go swimming. Q. Can I buy 2 powders and then blend them to get a custom color that’s just right for me? A. Absolutely! One of the popular choices for blending we find is for Blondes, blend light brown with blonde to control the darkening themselves. Q. What powder shade should I choose? A. The rule of thumb for brow color is for dark haired people to go one or two shades lighter for their brows and for light haired people to go two shades darker. African-American and Hispanic women will find that the dark brown powder works exceptionally well while Asian women will find the soft black powder creates a beautiful look for them. Q. How long will your powder last; how many applications will I get? A. It should last for about 6 – 8 months. Q. Eyebrow powders versus pencils -what can powder do for me? 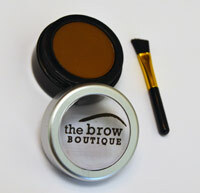 A. Eyebrow powder is simple to apply evenly and quickly. It creates those perfect edges that grace magazine covers. For those with sparse areas or faint color, powder adds both color and volume. This creates an overall softer effect than the application of simply color.